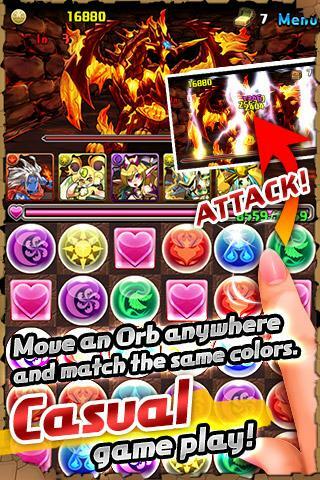 Android users now have another game to enjoy: Puzzle & Dragons. 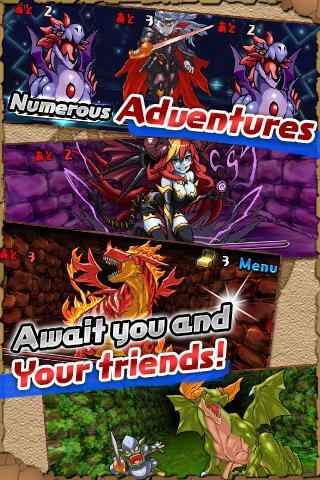 The former iOS only game couples together intriguing puzzles with dungeon crawling Role Playing Game goodness. Puzzle & Dragons is very popular in japan with over four million downloads to date. Simple and fun puzzle-dungeon-RPG hybrid game for everyone – When players match up three same colored elemental orbs (fire, water, tree, light, darkness) in a row or column, the matching monster in the party will unleash an attack on the enemies. Match five for an area attack and multiple combos for massive damage. Players can collect gold, eggs and monsters through the dungeons and customize a unique and original party! Enlist the help of friends – Players do not travel alone in this dungeon! Before each fight, players can supplement their party by selecting a friend’s monster to get through the battle. For more fun and excitement, build up the Friends List and earn Pal Points. Collect and level up monsters – While collecting monsters can be addictive, there is a limit on the number players can have in their inventory. 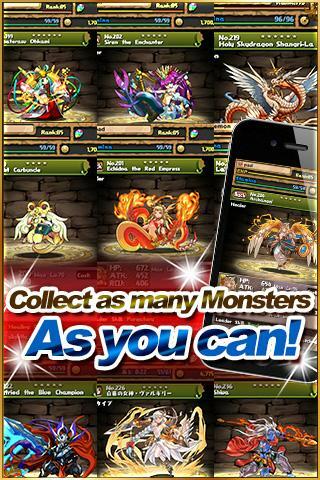 Gradually form a stronger team by leveling up monsters through fusion and evolution. In-App purchases will give you Magic Stones – Use Magic Stones to obtain rare monsters through the Egg Machine, expand the number of slots in the Monster Box, restore Stamina and continue playing after Game Over.